The recent snow threw a curveball at registration season for Southwest Little League, so it's gone into extra innings - with one more chance, 9 am-noon this Saturday (March 2nd), ... Read more..
That's the scene in downtown White Center as King County Sheriff's Deputies investigate gunfire that left shell casings on 16th SW just south of SW 98th. When we talked to a ... Read more..
FIRST REPORT, TUESDAY: Forwarded by a community advocate who received this invitation: Join King County Executive Dow Constantine for a special announcement! Join Executive Constantine and Parks partners when the executive unveils ... Read more..
From the White Center Kiwanis - you're invited! Community Fund Raising Dinner Join us for our dinner on Friday, March 1, 2019 5:00 PM to 7:00 PM Steak or Portobello Mushroom, Vegetable, Roll (also Raffle ... Read more..
School reopens today! The announcement from Highline Public Schools: Due to weather and road conditions, all schools are on a two-hour delay on Thursday, February 14. Buses will stop at their ... Read more.. Announced today by the King County Sheriff's Office: On November 27, 1995, the King County Sheriff’s Office responded to a call of a suspicious vehicle parked in the 200-block of SW ... Read more..
Back in December, we covered the North Highline Unincorporated Area Council getting briefed unofficially on the proposal for Water District 45 to merge into Water District 20. The measure was ... Read more.. The snow's stopped falling but not gone yet so Highline Public Schools are closed tomorrow: All schools are closed on Wednesday, February 13. 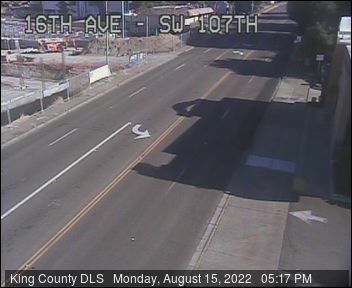 Many roads in the north end of the ... Read more..
5:26 PM: If you're wondering what the helicopter and King County Sheriff's Office activity is near 16th and 104th in White Center, here's what KCSO is saying: "Deputies contacted suspect ... Read more..